PIONEER Computers Australia have unveiled a new notebook model, powered by Intel Core 2 Duo processors Centrino 245nm. The new notebook is known as the DreamBook Light M73. 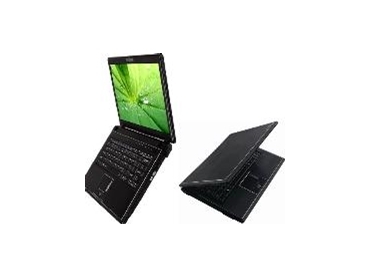 The DreamBook Light M73 notebook features a 13.3" WXGA (1280x800) TFT LCD with premium design. It comes with 3.5G High-Speed Downlink Packet Access (HSDPA) through WCDMA networks without connecting the computer to a mobile phone. This enables access to emails, internet, attachments and corporate networks through a virtual private network. The DreamBook Light M73 notebook is targeted at business users, who spend long hours on the road and require access to information quickly and easily. The optional fingerprint reader and file encryption will be handy to protect sensitive data. It comes with a removable 4 cells Smart Lithium-Ion battery pack, 2400mAh, with an option of removable 8 cells Smart Lithium-Ion battery pack, 4400mAh. The DreamBook Light M73 notebook is available from PIONEER Computers Australia on a build to order basis.